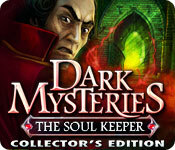 Dark Mysteries: The Soul Keeper Collector's Edition is rated 3.7 out of 5 by 59. Rated 5 out of 5 by arnold1049 from ACTUALLY BASED ON A BOOK This game is based on a book by H.P. Lovecraft and within the game you could buy the ebook version. I actually went to Amazon and got a complete collection of his works in ebook form at a very reasonable price. I vacillated between giving this game a four or a five rating, and decided on a five because I haven't given a five out in a long time, and I enjoyed this game more than others I have played recently. The storyline flows fairly logically and linearly throughout the game. There is a lot of back and forth and it could have really used an interactive map. But the hint button was great and showed you where to go next. I never referenced the built-in strategy guide (another plus for the game) even though I could have used it for some of the puzzles. I ended up skipping a few of them. There were a variety of puzzles and none were repeated. The HOS varied in quality, some being kind of cluttered and dark, others clearer. A few times I ran into an object that I needed to use a hint for. This game has lots of HOS and puzzles and kept me busy and interested all the way through. I'll be trying out some more from this series, if available. Rated 5 out of 5 by rosekaufmann from OUTSTANDING & SPOOKY Spooky, including realistic thunder and rain. Artistry looks handdrawn and there are many beautiful locations. Your journal includes story and objects, with up to 4 hints to narrow what to do to achieve objectives if stuck. I like this method of hints rather than have the game just point out what you have to do right away. Sometimes a little nudge is all the help I need to feel smarter solving a problem if I still have to do most of the work myself. Story is skillfully told and it’s obvious that a lot of work went into bringing all the pieces together into well-constructed gameplay. HOS are very nicely done and the puzzles vary in variety and difficulty. Won’t bother going into more details as others have already done so. CE vs. SE: Wondering whether you should get the CE or the SE? The CE has, of course, a bonus game. It also has the e-book you can download to your reader or as a pdf if you haven’t read the story. The concept art is very nicely done – it has much more detail than most concept arts included in games. There is a sketch of what the location is to look like, for example, in black and white – then there is a fully colored version of what it will look like in the game. I liked the ability to see how the sketch came to life. The behind-the-scenes in making the video was also very well done. I found it most interesting to see the actual people involved and what their contributions were. What? No women work there? Rated 5 out of 5 by Mrs_Kim from Almost perfect.. I am not a fan of Charles Dexter Ward game but this one is an exception.. First scene of the game, looks like Dark Parables to me, but it soon grew on me. The graphic is crisp, nice voice overs and great extras for a CE. I esp. love the behind the scene video, it's like nothing I have seen in other CEs. For storyline, I am not so keen on it. I see that this is not the devs fault, they have made an awesome game. 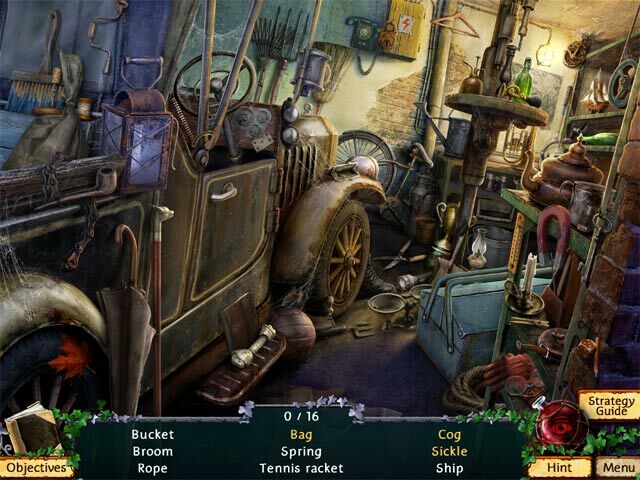 Hopefullly Cerasus Media can make other game, but not Charles Dexter Ward next time.. Rated 5 out of 5 by aleta59 from Charles Dexter Ward is back! Great storyline: Ward revived a distant relative who turns out to be a soul stealer. You, as the detective, are sent to save the town on Patuxent Island and destroy the revenant murderer. Good characters with VOS HOS, interactive Magical eye for inventory items Good puzzles, medium skip Nice music and atmospheric sound effects Regular game: 4.5 hours casual, bonus chapter 1 hour Enjoy! Rated 5 out of 5 by Merozz from JUST FINISHED GAME I really liked the "behind the scenes" in the extras.It was very well done and gave us an idea of the people who voiced, coded and drew the game and where they worked. This is a REAL extra to me. That and the bonus game. The ending was good but could've been better. Lots of HO but they were pretty good and the Adventure part was good too. Rated 5 out of 5 by tyyllls from Bring on the HOS!! I purchased the game and am really enjoying it. It just seems to keep going and going!! 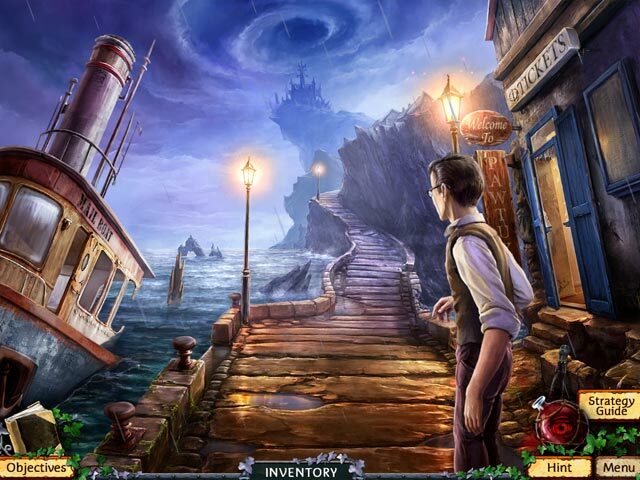 I love hidden object scenes , especially when they are as well done as this one is. They are interactive also, and some objects are hard to find for me. I think it's amusing, but some of the names they use for certain objects are pretty strange. I've never heard some of them called that before.. . Anyway, I am loving this game! Graphics are beautiful, crisp and clear. Not as hard as a lot of other games, but that is nice for me every now and then. Try it !! Rated 5 out of 5 by tobysue09 from Loving Charles Dexter Ward!! Great game! Got the CE version and it was worth it! 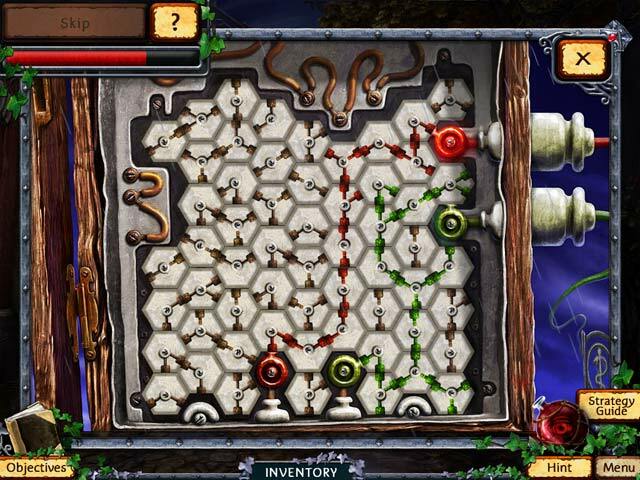 Nice graphics, nice puzzles, nice storyline. I really enjoyed it! Rated 5 out of 5 by sparkkyy from Love the art work Just finished and LOVED the artwork. Have played a few new ones and they forgot? how to use their craft? Not, this game, it has it all fun, beautiful artwork and good story line. It was fun to see the crew, creating in the extras. Charles Dexter Ward summons you to the island of Pawtuxet to stop a revenant from murdering the townspeople.